These are the terms that have long been synonymous with the City of Mesa and the methods it employs to achieve its unholy ends. Mesa's Mormon founding, economic and political roots remain fused to the colossal Mormon financial and political structure of Salt Lake City, Utah. 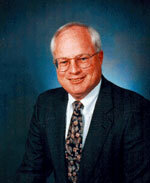 It is not merely by chance that Mesa government has been dominated by Mormons since its inception. Just about all the seats of power throughout the greater Phoenix area are occupied by Mormons or people who have had long, friendly relationships with the Mormon power structure. Mesa alone remains the most concentrated area of Mormon power and influence in the state. To put it bluntly, expectation to be elected, or reelected, to be appointed or re-appointed to the bench, to gain favor in business and commerce, etc., greatly depends on one's good relations with officials of the City of Mesa. All the above is instilled and indoctrinated by the self-serving Mormon Church. 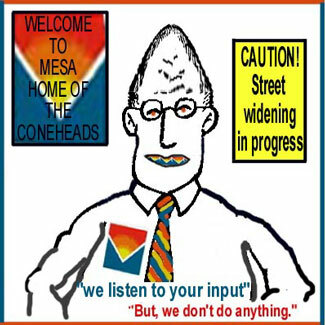 Legal actions against the City of Mesa are virtually a waste of time, money and effort. 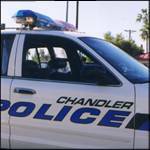 Whatever the nature of a complaint; whatever court it may be filed in, a legal action against the city of Mesa has little chance if any to reach a trial stage. Judges have taken extraordinary measures to dismiss legal actions against Mesa. Corrupt land acquisitions and political gifts are common in Mesa. Good old boys, relatives, mainly Mormons, have long enjoyed the spoils of this corrupt system of land-grabbing. 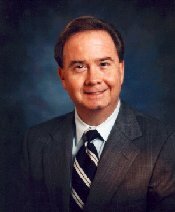 Read some of the unequivocal evidence of the corrupt political machine which has long ruled supreme in the City of Mesa. 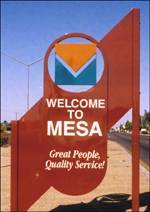 It proves beyond question that Mesa is a city above the law.